Flat Rate Economy Shipping to the lower 48 Contiguous US Only. Item will be shipped lowest cost method available. Zinc Plated bar and hasp to resist rust. Hasp is used to lock your cam bar into place on your cargo trailer or other unit. No Lock You must provide lock fits roughly a ½” diameter lock - you should go smaller as this will be a tight fit. PREPARATION & INSTALLATION Place your handle on your unit where desired and mark the screw holes with grease pencil or marker, be sure to use a level on the sides to assure the handle is straight. Check to see if the handle will rub or cause problems with your door or if the person who the handle is intended for needs the handle placed higher or lower on the unit. Do Not drill any holes in your unit until you have measured and tested the placing of the handle. 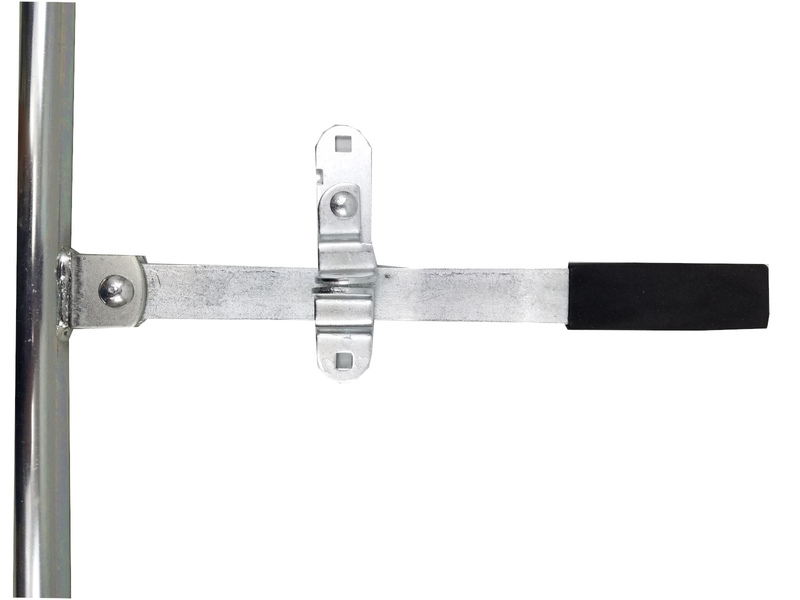 Most dealers place a small bead of caulk under the lock bracket to prevent water from entering in the screw holes that are new in your unit and to help secure the lock.